Are 3D printing CAD Software Integration Problems, Delayed Product Releases, and Shared IP Issues Affecting Your Margins? Spatial's proven software development toolkits put you in control of your 3D modeling application needs, giving you the tools to develop a fully customized solution that protects your IP, differentiates your machines, and speeds your time to market while boosting margins for both OEMs and ISVs. Spatial brings over 30 years of modeling expertise to the partnership, helping both additive manufacturing OEMs and ISVs solve these issues and bring world-class solutions to the market. Why Spatial As Your Additive Manufacturing Solution Provider? Spatial software development toolkits optimize the additive manufacturing workflow, utilizing innovative hybrid modeling capabilities to access and modify precise and polyhedral data. This enables new innovations across the manufacturing process, including product design, importing data, model healing and modification, customization, support definition, slicing, , finishing, simulation, and analysis. A growing number of solution providers rely on 3D software development toolkits from Spatial to build applications that differentiate their product offerings. This revolution in manufacturing, with new capabilities to realize complex designs, demands software purpose-built for additive manufacturing data and workflows. The leaders of this industry revolution rely on the industry-leading precise modeling kernels that Spatial has been innovating for 30 years. Loading, designing, editing, file healing & file repair, and managing the lifecycle of a 3D model for printing are critical steps, and with increased production volumes and complexity, maintaining high quality through automation is paramount. Spatial's solution is able to optimize this workflow and allow for seamless translation from precise and polygonal models to the printer’s machine code, and ultimately the final product, while maintaining data integrity throughout the 3D model’s lifecycle. Spatial develops both the 3D modeler and interoperability together. We are the only provider developing the multiple core technologies needed for additive manufacturing applications providing more robust support of the critical workflows. We are pioneering the technologies required to enable the manufacturing 4.0 revolution, such as our Hybrid modeling solution that delivers innovative modeling flexibility where customization and design freedom are paramount. Manufacturing depends on the model. As the 3D modeling experts, no other solution consistently delivers higher quality imported models. 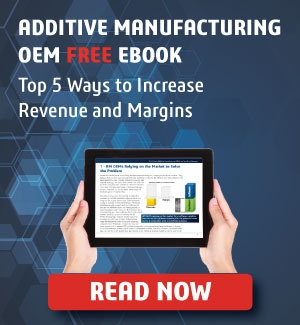 Hardware manufacturers are facing increasing pressure on their margins, and OEMs supplying to the additive manufacturing equipment are no different. One method to increase equipment margin is through differentiation by providing more to your customers than the competition. A significant way differentiation can be achieved is to move from relying on third-party software to providing a bundled software solution tailored to your product offering. Spatial provides the software development tools needed to develop your own software solutions, allowing you to control your solution. No longer do you need to wait for third-party support for unique capabilities of your equipment, or be constrained by the least common denominator of features. Defining your own software application allows you to create a unique product solution. Spatial SDKs allow you to build a tightly integrated solution using an industry-standard modeling kernel, including sophisticated additive manufacturing software components, with a minimum of investment and risk. The user experience needs to be smooth with the software being tightly coupled with how the machine works. We give you the tools you need to build the one application to cover the entire user workflow so users do not have to switch applications or use multiple applications to get the job done. Working with a third-party application developer necessitates exposing your IP to the software vendor who may also be your competitor, leading to risks that your unique solution may be available to your competitors. Building a solution in house using Spatial SDKs allow you to expose your best to your customer without risking exposing your IP to your competitors. Are your product introductions hamstrung by third-party software vendors who aren’t keeping pace with your innovation? Clearly, their business goals do not always align with yours. By developing your own software solution, you can ensure your software support is in sync with your hardware capabilities. And using Spatial SDKs help you control both schedule and cost. Developers of third-party software targeting the additive manufacturing industry face similar needs to OEMs: having to drive market differentiation and improve time to market. But they have an added requirement to make a compelling value proposition solely in the software application without relying on the differentiating features of a proprietary machine. By employing Spatial SDKs, your in-house experts can focus their efforts on product differentiators rather than developing and maintaining a modeling kernel or file translator updates. Moreover, your value-adds benefit from Spatial’s 30 years of experience as well as the experience of millions of end users. The key to any independent software solution is interoperability. But with so many different formats, each with regular updates, supporting, updating, and testing file translators is a huge task. Relying on Spatial for interoperability provides you the ability to seamlessly support a wide range of formats, as well as greatly reducing the need for QA testing before release. With Spatial SDKs, your team can focus on what makes your software unique. You'll no longer need a specialized team of hard-to-find modeling developers. The size of your code base is reduced, making your developers more productive, and improving overall code quality. Moreover, you benefit from future innovation by Spatial, all without additional investment in development costs. Service bureaus are in business of providing quick-turn prototyping and low-volume manufacturing services. As a result, Additive Manufacturing Service Bureaus face pressures similar to both Additive Manufacturing OEMs and ISVs — they must support input data from multiple sources (and of varying quality), as well as interface to a number of machines (depending on the customer’s requirements). And they are often called upon to solve problems their customers cannot. Due to the range of customers, an Additive Manufacturing Service Bureaus must be able to support a number of different manufacturing processes — and quickly. Our software development toolkits (SDKs) provide you the ability to directly read a number of native CAD files, as well as tune your internal workflows around your proprietary processes. Spatial SDKs provide you the ability to say yes regarding your customer needs. The very on-demand nature of Additive Manufacturing Service Bureaus forces the need for efficiency. Fast, accurate, and automatic tools are needed to handle a wide-range of input files. The need to quickly turn on both quotes and prototypes does not leave time for manual entry of product manufacturing information (PMI) and other attributes. With Spatial, you gain access to world-class translation capabilities. Even if a model is accurately read, the output model has to conform to the rules of the target system. 3D models may have gaps between the edges or other irregularities due to differences in how modeling programs define edges, faces, and shapes. These irregularities can lead to an unusable model and a result, the inability to manufacture the component. Key to obtaining a manufacturable model is healing and repair. With Spatial SDKs, you gain access to a robust set of functions that can heal incoming model data so that it conforms to the rules of your target system, while preserving the intent of your customer’s source.